It might seem that the wanderer has lots of girls and lots of fun, but he realizes it doesn’t amount to much. The lyric says: “I roam from town to town / I go through life without a care / I wave my two fists of iron / but I’m goin’ nowhere.” The song was written by Ernie Maresca (“Runaround Sue”) and recorded by Dion. Dion had broken up with The Belmonts by this point, and The Del-Satins provided background vocals. In 1962, the song went to #2 on the Billboard Hot 100, #1 in Australia, and #10 in the U.K.. Rolling Stone Magazine has the song on its list of The 500 Greatest Song of All Time. “The Wanderer” has been widely covered, including versions by Bruce Springsteen, The Beach Boys, Eddie Rabbitt, and Status Quo. Please click here for the Daily Doo Wop YouTube channel, to which you can subscribe. Thank you for stopping by The Daily Doo Wop. 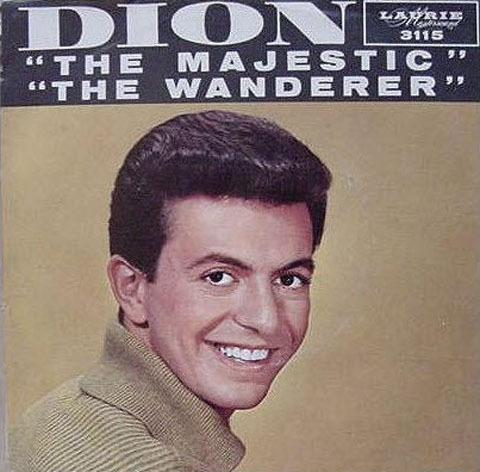 Hope you enjoyed “The Wanderer” by Dion.